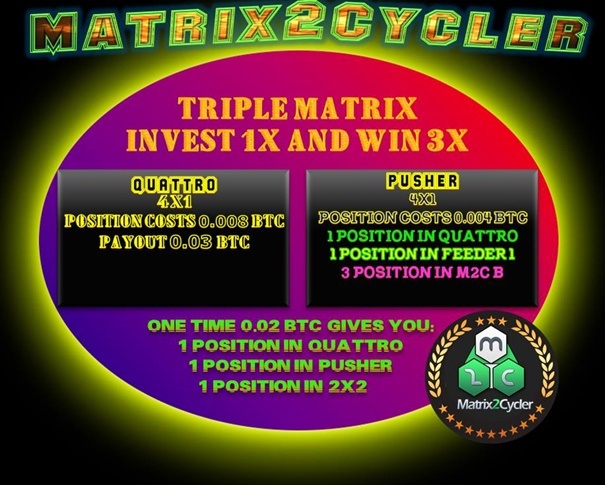 One time payment 0.02 BTC = 3 positions ? Unique system with Unique compensation plan. No referring and no sale! Your cycling does not depend on referrals, ALL promote one link! All others become a scam in a month or two. What are you waiting for ? ! ?